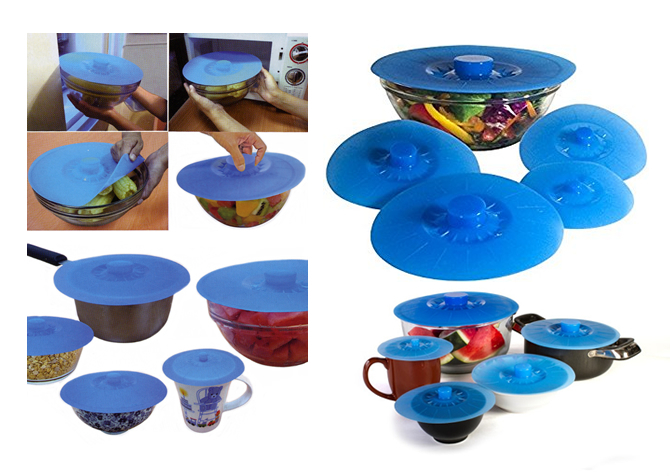 The Silicone Suction Lids and Food Covers fit various sizes of cups, bowls, pans, or containers! 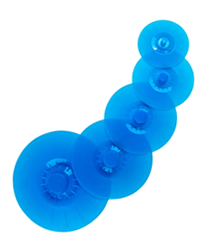 Silicone Lids are environmentally friendly; washable and reusable. Creates an airtight seal to keep food fresh. Suitable for use on all smooth surfaces: plastic, glass, stainless steel, melamine, and ceramic. Easier than plastic wrap - Just press down to create the perfect seal. Do not use directly over a flame. • Sizes - 10.20" - 7.87" - 7.08" - 6.10" - 5.10"